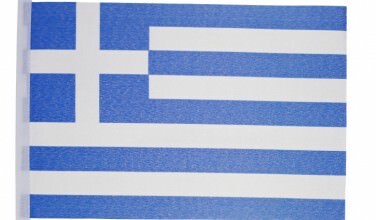 Before we can do that, we need to understand what is meant by “Greeks.” First of all, we do know that the Greek language itself is in the Indo-European language family, which means that it is related to other language groups, such as the Romance Languages and the Germanic Languages. There is no trace of this original root language, which means that the early history of most of these ethnic groups has been lost. It is interesting to note that there are distinct similarities across all of these language families. The first known language that occurred in Ancient Greece is known as Linear A. Although tablets with Linear A script have been uncovered, they have yet to be translated. Most of these were found in the Minoan ruins of Crete. The next iteration of the Greek language took place during the time of the Mycenaeans. This is referred to as Linear B script. After that, the alphabet evolved and has elements that are similar to the Phoenician alphabet. 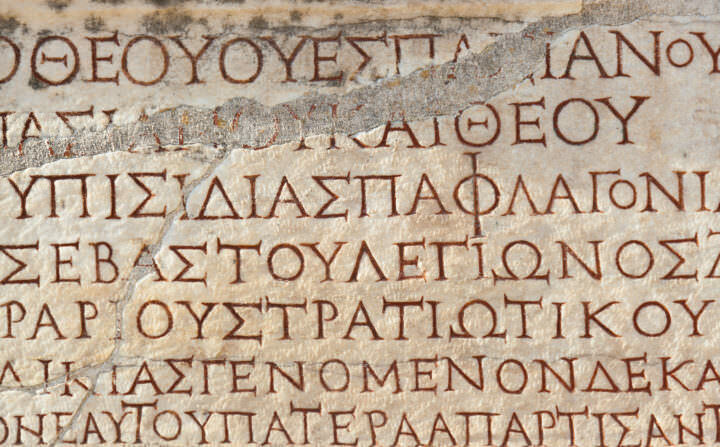 Over the centuries, the Greek language has evolved into the form we know of today. At some point in the early history of Greece, a migratory group of people who all spoke a similar Hellenic language, the earliest form of the Greek language, arrived at the lands that we now come to understand as being “Ancient Greece.” These people are now referred to as Proto-Greece and they are known to have stopped at the tip of the Balkan Peninsula, which is where Greece currently is. It is thought that they showed up around the 3rd Millennium B.C. Migrations steadily increased into the 2nd Millennium B.C. and it is thought that at this point still, the people spoke an early version of the Greek language. The migrations continued and the population increased but not much is really known about these early days. 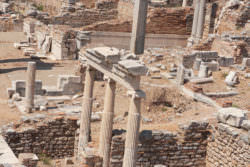 There are two early civilizations in Ancient Greece that really standout, mainly because evidence of them has been uncovered in various archaeological digs. However, it is possible that there were people living in the area we know of as Ancient Greece before these civilizations came to be. The earliest civilization where the Minoans and they were isolated to the island of Crete. You can visit the Knossos Palace and other smaller Minoan sites on the island after that. The Minoan civilization collapsed and almost immediately after that, the Mycenaeans became the prominent civilization. 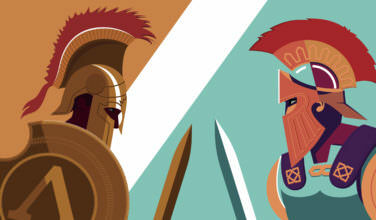 It is unknown what caused the Minoans to collapse but one theory is that the Mycenaeans invaded them. Once the Mycenaeans collapsed, the Greek Dark Ages occurred. What we truly think of as Ancient Greece, with the city-states, inventions, and advancements in knowledge, is thought to have sprung out of the Dark Ages. 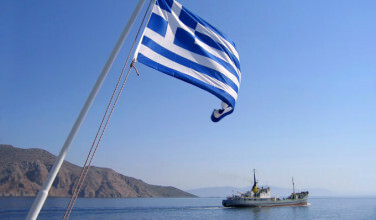 We often refer to Greece as the Birthplace of Western Civilization. When we do, however, we often have a picture of the Ancient Greece thousands of years after it had already been established during the height of its civilization. 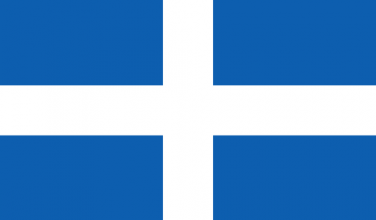 This time period is often referred to as the Golden Age of Greece. The early Greeks came to the region much sooner than that, and they endured a lot before Ancient Greece entered that Golden Age. The Ancient Greek people came from these early migrations and the population continued to increase as the culture evolved.